Salt therapy, also known as halotherapy, has been used for centuries as a method to clean the air, detoxify the body, and provide relief from ailments. Salt is known to help the body naturally balance pH, improve hydration through trace minerals, reduce muscle cramps, balance blood sugar, and much more. 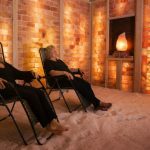 If you suffer from respiratory conditions, allergies, or skin issues, our salt cave may provide the atmosphere you need to improve the way you feel and relieve some of your symptoms to achieve holistic wellness. At Himalayan Hideaway Salt Cave, we provide our guests with a 45-minute session free of electronics but full of the healthful benefits of salt. Once your hideaway time is complete, you may emerge more rested, relaxed, and relieved, and we invite you to peruse our retail store. Here you’ll find additional salt therapies for holistic wellness and Himalayan salt lamps available to take home until your next visit with us. 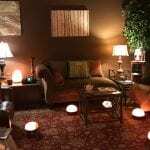 Your holistic wellness and relaxation await at Himalayan Hideaway Salt Cave in Winston-Salem, North Carolina! Contact us today to plan your visit!